The Second Anniversary of the launch of the Yemeni Youth Peaceful Revolution is approaching (February 11, 2011). So far, it is inescapable to discern that the aspirations and hopes of the millions of Yemenis, who took to the streets for the most part of the Year 2011, in support of the brave Yemeni youth demanding a real concrete regime change was thrown out the window, have been erased cancelled and annulled until further notice. The legitimate demands of a nation, ruled for a third of a century by a ruthless mob of killers, thugs, political embezzlers, cutthroat mercantile establishments seem to be now a figment of the imagination. The regime change sought by the brave Yemeni peaceful revolutionaries, has been tragically replaced by an even more incoherent political framework that pathetically kept most of the sleazy framework of the notorious regime of former President Ali Abdullah Saleh loosely functioning, but pretty much in power! The returns of the Yemeni Revolution, and of all the sacrifices of the brave youth that challenged the combination of military, security and paramilitary organs, as well as mercenary thugs, who spared no effort to inflict the most brutal violence against peaceful unarmed Yemeni youth, to date is absolutely ZERO. In short, it is not far-fetched to openly declare that the Yemeni Revolution for Change and Transformation to a Democratic Modern Civil Government has been swindled from the people of Yemen lock, stock and barrel. The so called Gulf Cooperation Council – a mixture of archaic monarchical, tribal and clannish fiefdoms – was actually “commissioned” to work out a “peaceful” political formula, supposedly meant to lead to the changes demanded by the Yemeni people. Nothing can be deemed as being more sarcastic than to believe that absolute autocrats, set in power by the old imperialistic order that dominated the world for the most part of the last five hundred years, could ever devise any political modus operandi that would cater to the democratic ideals, freedom and liberty and a corrupt free state, legitimately aspired for by the Yemeni youth and the masses of Yemenis of all walks of life that supported them. One only has to see how the domains of these autocrats are ruled by these tyrannical regimes to see the farce in all this ridiculous political wishful thinking. If that was not enough, the GCC Initiative had the blessings of the international community with Security Council Resolution 2014 for 2011 and 2051 for 2012 respectively. What is even more repugnant is that the entire global community went out to legitimize murder, corruption and cruelty to humanity with one easy sweep by establishing the un-Godly precedent of immunity to most of the icons that kept Saleh in power all those years and by actually keeping most of those culprits in charge of the military, political, economic and social muscle that were used to keep Saleh’s notoriously corrupt regime in power. Yemen is currently drowned in an ugly quagmire of a government shared by killers, thieves and irresponsible senior military and civilian officials, of whom many have mixed loyalties, none of which could be considered patriotic, or with the best interest of Yemen and the Yemeni people to heart. It is close to anarchy, with foreign regional and international powers trying to etch the biggest influence in affairs of state, each for their own reasons and interest, none of which even try to give lip service to the interest of the Yemeni people. The obvious result of this mess is one cannot clearly outline any sort of scenario for the future that is promising in any way. We hope for the best, but of course bear in mind that the current climate is signaling the inevitable need for a decisive outcome among the political wranglers of hodgepodge power centers and pretentious political machines, most of which lack the most rudimentary manifestation of a grass roots following of any caliber worth mentioning. The divisions in the country are nowhere to be seen as nearing any successes in the efforts to cement the rifts between the political forces at play in the country. The so called opposition forces that “aided” the revolt have come out as merely being the other side of the same coin that manifested the Saleh regime. Thus, one should not expect any of the latter to stand for the realization of any idealistic dreaming by youth drowned in wishful thinking, which does not conform to the selfish interests of an establishment, which itself was born out of mob rule. So, we have this “opposition”, represented by Army Generals, like Ali Mohsin Al-Ahmar, who most observers have never seen to be much different from Ali Abdullah Saleh, in greed and in ruthlessness. We also have a simulation of an opposition, which included tribal leaders like the children of the late Sheikh Abdullah Bin Hussein Al-Ahmar, Paramount Sheikh of Hashid Tribal Confederation. Then, there is the Islah (Yemeni Congregation for Reform) Party, a socio-political attempt at partisanship with a presumably religious agenda, which has a heavy dose of Wahhabi “puritanism” and an uncompromising clerical order that abhors any deviation from their inflexible theological conceptualizations of the religion of Islam. They originate from the same fundamental roots that brought Al-Qaeda, and other splinter Wahhabi terrorist organizations, like the Taliban of Afghanistan and Pakistan. The last three factions are closely tied in political directions and methodology and there is no room for any modern idealism in their perceptions of the future politics of Yemen. One would not be far-fetched in assuming that these factions remain in covert alliance with the General People’s Congress (the political partisan cover of Ali Abdullah Saleh) and even Saleh himself, while on the surface showing less visible manifestations of such alliance. This political hypothecation is further supported by the certainty that all four factions continue to be beneficiaries of generous Saudi funding, which remains uninterrupted to this day. Thus any difference in the roles they are expected to play are mainly superficial and should not lead to the ability of any of the factions to eliminate any of the other vassals of Saudi influence in Yemen. There are real serious problems in Yemen, as a result of this delicate arrangement for political transformation. The law has been shelved and it is hard for anyone to achieve any justice for any grievance or crime inflicted against them. The country is open to uncontrollable bombing raids by United States drone attacks and now more recently by the Saudi Air Force (an attempt at playing a fictitious anti terrorist role: ridiculous from the outset, because it is not a mystery to most knowledgeable political analysts that all forms of Wahhabi inspired terrorism originates in Saudi Arabia, which continues to bankroll most religious “extremism” and murderous terrorist attacks, now mostly unleashed throughout the Moslem world). These attacks indicate that Yemen has lost all control over its sovereignty and is now literally under the mercy of self-serving foreign powers. 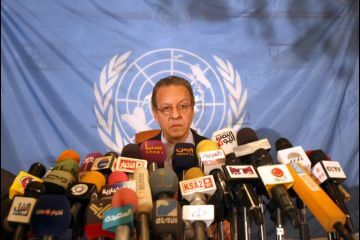 The effort to implement a “national dialogue”, which is supposed to engineer the political future of Yemen is beset by so many obstacles that there can be no great expectations to come out of it. For one thing, the factions that made up the “old” regime of Ali Abdulla Saleh continue to dominate the membership of a government of “accommodation” and the national dialogue committee membership. Where are the leaders of the youth and the many informal social, intellectual and civil society leaders, who are untied with the old regime? They have been given some token membership in both government and the national dialogue committee, but surely their voices will be drowned, if they attempt to voice any genuine concerns are sure to fall on deaf ears in these mediocre instruments arising out of the GCC Initiative. There are possibilities for more violent conflict as the increasing power of the Houthis and the call for southern autonomy are causing tremors outside Yemen and within the existing Saudi backed establishment in Yemen. The Saudis are not enjoying the increasing spread of Houthi acceptance in large areas of Yemen (as they mistakenly view them as threatening allies of Shiites in Iran, Iraq and Lebanon). The Saudis have financed and continue to bankroll and organize religious schisms in Yemen to eliminate any rendition of Zeidi theology, the sectarian inclination of most far northern governorates of Yemen. Southern distress and feeling of betrayal arising out of Saleh regime excesses and deliberate failure to abide by commitments to the unification agreement signed by the General Peoples Congress and the Yemeni Socialist Party (former rulers of North and South Yemen respectively. has encouraged a stronger desire to return to Southern “statehood”, a temporary flirt with sovereignty that came after independence from heretofore British administrative and political authority, which only lasted from 1967 to 1990. Many Yemenis would not like to say this, but the outlook for the future is very grim indeed, with possible increases of violence, as the breakdown in law and order continues to become more fermented with the passage of time and the increasing helplessness of the shoddy government of accommodation to assert itself in any meaningful and respectful function of government in any sphere of authority. 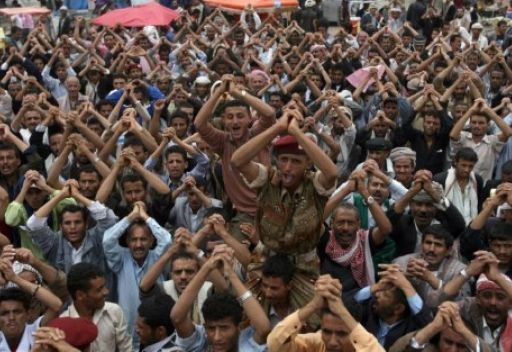 In short, the GCC Initiative did no more than orchestrate the swindle of the Yemeni Revolution from the legitimate rightful owners: the Yemeni people. This entry was posted in Arab Spring, Gulf Cooperation Council, Saudi Interference, UNSC Resolution 2014, Yemen Peaceful Revolution and tagged Ali Abdullah Saleh, Alqaeda, Common Sense, Drone Attacks, GCC Initiative, General People's Congress, GPC, Gulf Cooperation Council, Hassan Al-Haifi, Houthis, Islah, No Immunity for Saleh, Saudi and American Intervention in Yemen, Saudi Bombings, Yemen Revolution, Yemeni Socialist Party. Bookmark the permalink.